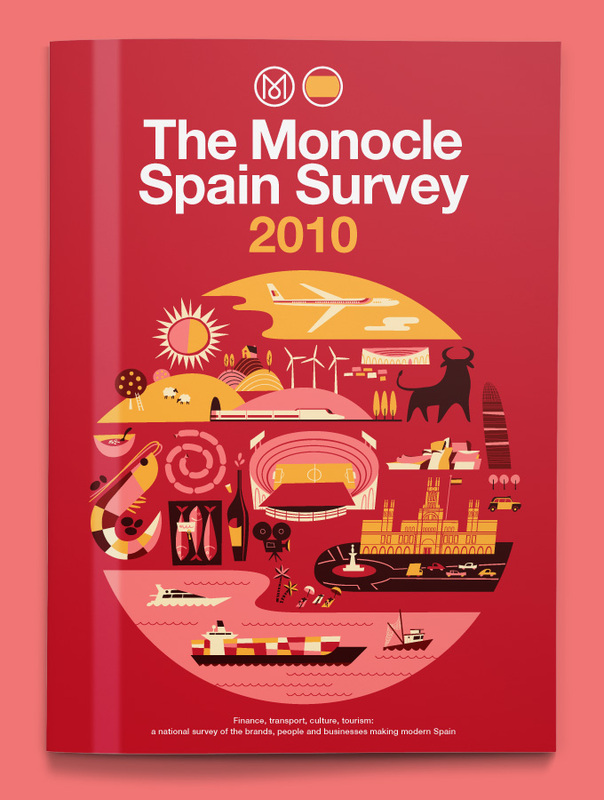 We created a series of icons and illustrations representing the many aspects of modern Spain for Monocle's 2010 Spain Survey. Keeping with the theme of previous years, all the icons fit together to form a bold circle. 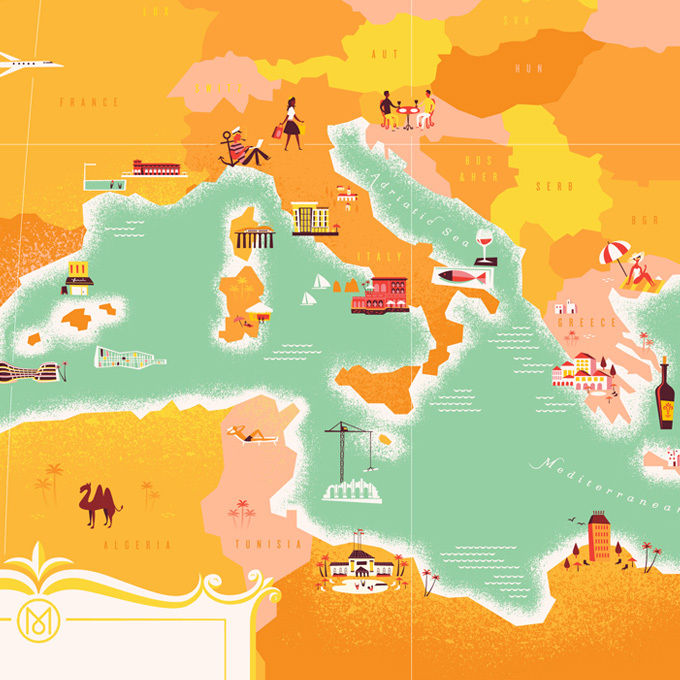 For Monocle's first summer newspaper focusing on the Mediterranean, we created a map highlighting various key points of interest around the region. Each of the icons corresponded to a call-out describing the featured area, helping readers plan out their next vacation to the Med. 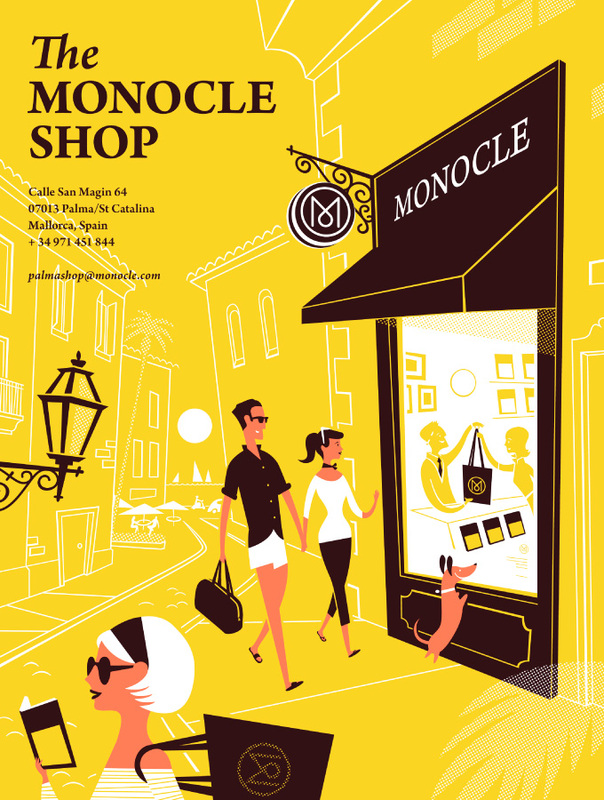 For several issues of Monocle magazine we've had the pleasure of creating various spot illustrations to accompany their articles.